Epic Games’ Fortnite app has proven to be a huge hit among iOS users. According to recent reports, the app has made over $15 million in its first 3 weeks on the App Store. 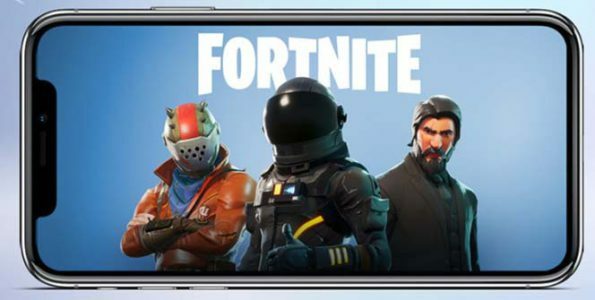 The mobile analytics firm Sensor Tower reported that Fortnite has earned more than $15 million in just three weeks. Fortnite has beat out other popular apps such as Candy Crush Saga, Clash of Clans and Pokemon Go. 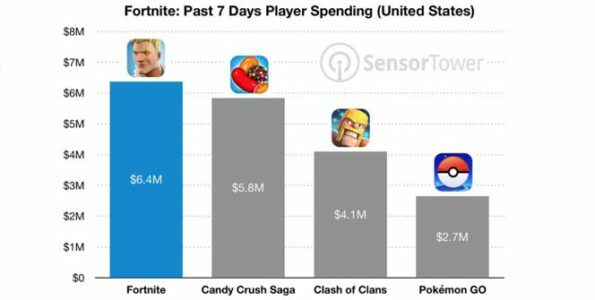 Last week, Fortnite earned $6.4 million compared to Candy Crush’s 5.8 million. If its performance on the App Store to date is any indication, we can easily see the game grossing $3 million or more per day once the Android user base grows to a comparable size in relation to iOS—and that’s potentially just the beginning for what started as a surprise release and it already one of the most successful mobile game launches ever. So far, more that 11 million iOS users have downloaded the app. If you’ve been thinking about playing the game to see what all the talk is about, you can head over to the App Store and download the app for free.